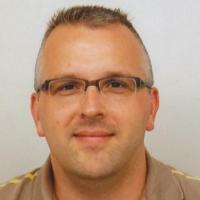 This blog is maintained by me, Martien Korenblom, an technical consultant for Centric IT Solutions. With nearly 15 years of experience in the IT world, starting with HP-UX and using Linux and VMWare ESX, growing towards storage and backup solutions, he now thinks he has some technical things to say about storage and backup and maybe some other things. The opinions and views presented on this website are our own personal opinions and views and are in no way related to our employer(s). Our employer is in no way responsible for opinions and views presented on this website.